Syria’s declared equipment for producing, mixing and filling chemical weapons has been destroyed, the international watchdog says. This comes a day before the deadline set by the Organisation for the Prohibition of Chemical Weapons (OPCW). The weapons have been placed under seal, an OPCW spokesman said. Inspectors were sent to Syria following allegations, denied by the government, that its forces had used chemical weapons in civilian areas. The inspections were agreed between Russia and the US after Washington threatened to use force in Syria. Syria’s Deputy Foreign Minister Faisal Mekdad told the BBC’s Lyse Doucet that it had not been difficult for Syria’s government to meet its obligations, as some had initially feared. “I hope those who have always thought of us negatively will change their minds and understand that Syria was, is, and will be always a constructive partner,” Mr Mekdad told our correspondent. Now that the equipment has been put beyond use, Syria has until mid-2014 to destroy the chemical weapons themselves. Its arsenal is believed to include more than 1,000 tonnes of the nerve gas sarin, the blister agent sulphur mustard and other banned chemicals, stored at dozens of sites. In a separate development, a large explosion at a Syrian army base has been reported outside the coastal city of Latakia. Local media say the base was targeted by Israeli forces but this has not been confirmed. Israel is believed to have targeted the same base in July and is concerned that some weapons in Syria are being moved to Hezbollah militants in neighbouring Lebanon. OPCW head of field operations Jerry Smith told the BBC that his team had “personally observed all the destruction activities”. “They are not now in a position to conduct any further production or mixing of chemical weapons,” he said. In a statement, the OPCW said its teams had inspected 21 of the 23 chemical weapons sites in Syria. The other two were too dangerous to visit but the equipment had already been moved to some of the other sites, it said. Mr Smith said that verifying the destruction of Syria’s weapons production capability had been a “particularly challenging job” because it had to be done in the midst of a conflict, with a tight deadline. The OPCW earlier this month won the Nobel Peace Prize but Mr Smith said his team had been too busy to celebrate because of their work in Syria. 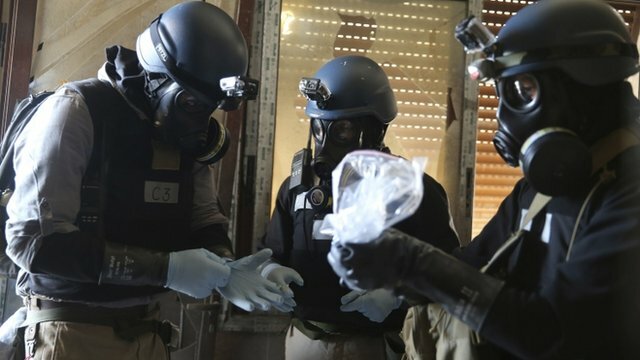 “All stocks of chemical weapons and agents have been placed under seals that are impossible to break,” OPCW spokesman Christian Chartier told the AFP news agency. “These are 1,000 tonnes of chemical agents [which can be used to make weapons] and 290 tonnes of chemical weapons,” he said. 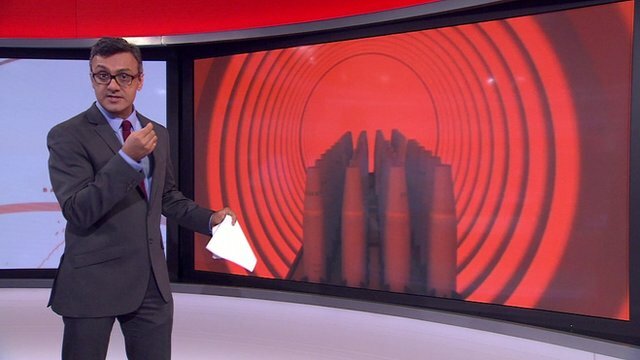 The BBC’s Jim Muir in Beirut says the OPCW’s task is far from finished. More than 1,000 tonnes of chemical precursors – the raw materials – remain to be removed and destroyed by the middle of next year, which our correspondent says will be a delicate and difficult process. The first step is for the weapons watchdog and the Syrian government to agree a timetable for the destruction of the chemical weapons stockpile – this should be done within the next two weeks. 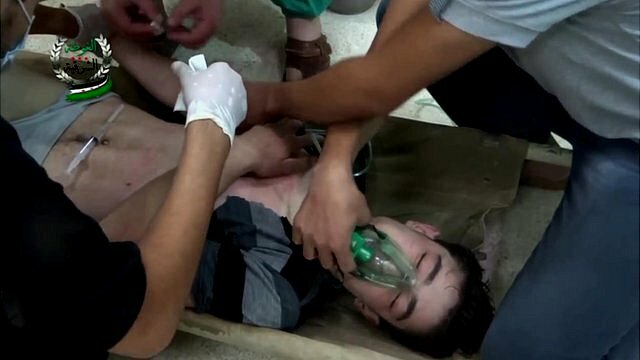 The US says more than 1,400 people were killed when government forces used a nerve agent to attack Ghouta on the outskirts of Damascus on 21 August. Syrian President Bashar al-Assad and his Russian allies have said rebel groups were responsible. The OPCW announcement comes as human rights group Amnesty International says that hundreds of Syrian refugees are being turned away at the borders of Jordan and other countries. Jordan has denied the accusation, saying its border is open to Syrian refugees.